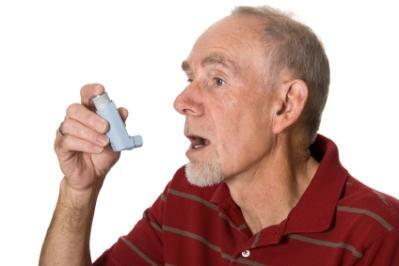 L-Arginine can make asthma worse. L-Arginine side effects are rare but they do occur. It is important to discuss L-Arginine with your health care provider before adding it to your diet. L-Arginine is a natural substance found in food, and has no side effects when it is consumed. However, taking it in a supplemental form can cause problems in some people. Generally these side effects are not serious, ranging from mildly annoying to discomfort. In some instances, though, taking L-Arginine is dangerous and can be life threatening. While a very low percentage of side effects are serious they can occur. If you begin to have symptoms that seem to worsen, or concern you in any way, go to the emergency room immediately. If you experience any of these problems be sure to go to the emergency room to be checked. It is always better to be safe than sorry. Who Should Not Use L-Arginine? In addition, there are people who just should not use L-Arginine. Side effects can be more pronounced in these patients and more severe. During preliminary research on the benefits of L-Arginine researchers found that a large number of patients given L-Arginine directly after a heart attack died. The patients that were not given L-Arginine did not die. This information was published in the Journal of the American Medical Association. Patients who are taking blood thinners (anticoagulants like Coumadin) or anti-platelet medications should not take L-Arginine. L-Arginine increases circulation and may increase the risk of bleeding. Those with blood disorders like hemophilia should talk to their health care provider before using this supplement as well. If you are on prescription medication to control blood sugar levels whether or not you are diabetic you should be aware that L-Arginine can increase your blood sugar levels dramatically. This can keep the medication from being able to control your blood sugar. As more and more amino acids are studied and made available to the general public there is more potential for negative side effects. Often these side effects could have been avoided had the patient discussed his plans to take the supplement with his doctor. It is important that you do the research for yourself to find out if you have an underlying condition that could be negatively impacted by L-Arginine or any other nutritional supplement. Do not depend on the clerk at the health food store for your information but always research, read, and talk to your doctor.